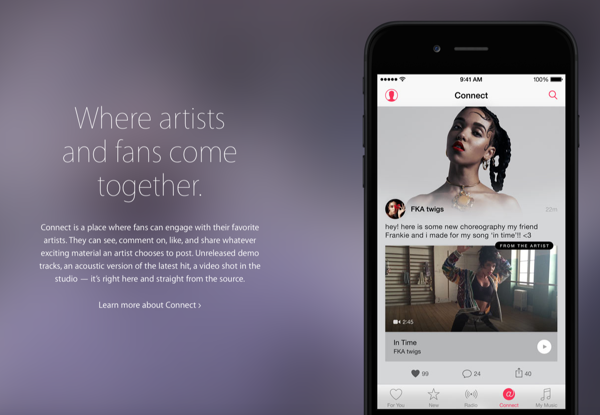 The Apple Music streaming service was officially unveiled during the WWDC 2015 conference after months of rumors. 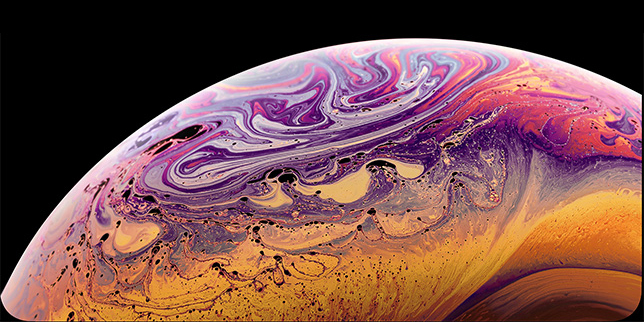 According to the company: "Apple Music is a revolutionary music service, a 24/7 global radio, and a new way to connect with artists." 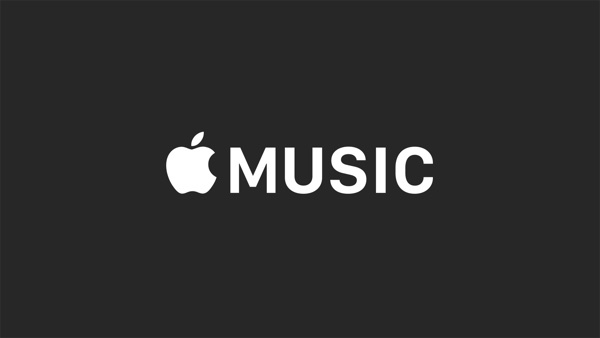 Unlike ordinary music streaming services, the content on Apple Music is curated by "world’s leading music experts," hence you can rest assured that you'll stumble across the right tune every time. At least according to Apple. Besides giving you access to a collection of new music, Apple Music also features your own collection from your iTunes library. This means that all those tunes which you’ve come to love - and own - over the years will be up for listening at a moment’s notice. You either have the option to stream your iTunes tracks, or you can download them for offline listening. The music library in Apple Music is an almost 1 to 1 copy of iTunes, except for a few exceptions when it comes to artists, such as The Beatles. 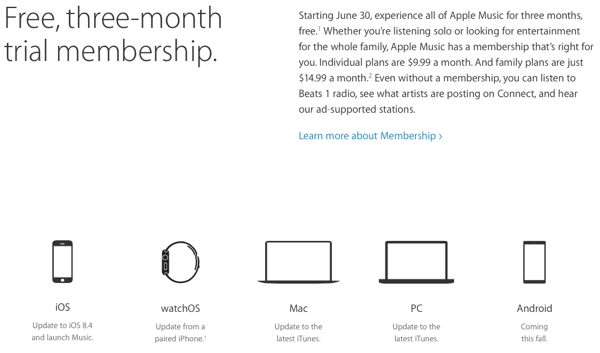 This means you can keep on listening to your music and you'll never ever run out of stuff to listen to. Ever. According to Apple, you can "Get recommendations for albums and playlists you'll love from experts - real people who know and love music." Rather than let someone slightly off track choose your music for you, Apple is taking a more hands-on and professional approach in this department. Additionally the new service comes integrated with what they're calling a "groundbreaking 24/7 global radio station," which broadcasts non-stop music to 100 countries directly from LA, New York and London. 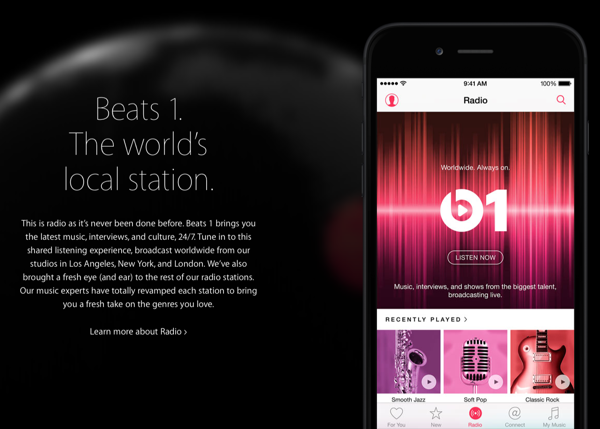 If you're a fan of interviews, guest shows, news and culture, then you'll be pleased to know that Apple Music comes bundled with ‘Beats 1′ which will be hosted by the world’s “best voices” such as Zane Lowe. Additionally common people like you and I can also share content with others, which means your creative harmonies have a chance to be heard by the industry’s big guns. And who knows, you may even get discovered in the process. If you're a music video fan then there’s good news for you as well; Apple Music hosts ‘ten of thousands’ of add-free music videos.